The province of Malaga has a football club of which its history dates back to the 3rd of April 1904. This new sport brought in from England was destined to cause frenzy in Spain and its first competitors were the crew members of foreign ships that arrived at Malaga port. In 1909, Malaga Football Club won their first match against the Sierra Nevada club from Granada, it was in the period in which the Malaga football club changed its name from Malaga F.C. to F.C. Malagueño. 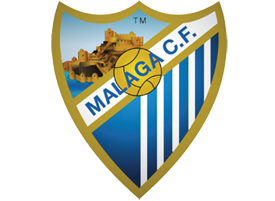 During 1915, Malaga F.C arose creating a great rivalry with the old team F.C Malagueño until they finally united on the 22nd of March 1933 and named since then as Club Deportivo Malacitano, debuting against Deportivo Alaves and winning that match on the 22nd of May 1933. On the 19th of July 1941 the football team changed its name again, and were known as from then as Club Deportivo Malaga. Malaga were promoted to the first division for the first time in their history during the 1949/50 season after finishing second after Real Sociedad. This streak only maintained them in first division for 2 seasons, and although they continued achieving fleeting promotions they ended up spending more time in second division. One of the most important achievements from this period was the match in which Malaga thrashed Real Madrid 6-0, a result that has never occurred again and that many Malaga fans still remember. It wasn’t until the 1969/70 season that the Malaga football team achieved to remain in the first division for more than 1 or 2 years, when they managed to stay up for 5 seasons on the trot. In the early 21st century, Malaga’s football club achieved another record as they remained up to 7 consecutive seasons since their promotion to the first division although they finally got relegated to second division during the 2005/06 season, when they sold the club and was bought by Fernando Sanz, a former player of the club. 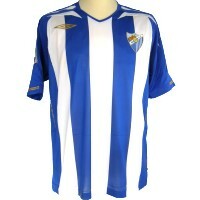 In 2008, still with one of the lowest budgets, Malaga F.C. managed to get promoted to the first division, and were considered the revelation team of the season. In 2009, the football team played a charity match donating the money made to the damages caused by the Malaga tornado; the rival teal was made up of former team members. It was this same year when they created the Malaga CF foundation, aimed to spread the values of Sport and as a museum of the club. The club was sold to the Arab sheikh Abdullah ben Nasser Al Thani on the 11th of June 2010, which brought new signings of players and a new manager, achieving a great amount of victories and new advertising contracts with brands such as Nike. On the 28th of August 2012, the team achieved for the first time in their history to qualify for the UEFA Champions League, winning their first three matches without conceding one single goal. This stadium is situated on the Martiricos Promenade and was inaugurated in 1941 with a capacity of 45.000 spectators. Later on, in 2000 it went through great reformations that lasted 6 years although it constantly went through other little reformations until 2012, creating new methacrylate panels to separate the stands, they enlarged the VIP areas and covered the ‘tribuna’ and ‘preference’ stands amongst other reformations, having today a maximum capacity of 29.500 spectators. The Rosaleda stadium hosts every year the Costa del Sol trophy since 1961 and has also been the chosen stadium for matches of Spain’s national squad. There are plans for the construction of a new stadium with a capacity of up to 65.000 spectators according to an announcement made by the current owner of the club Abdullah Al Thani.